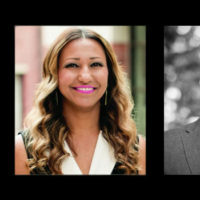 Vanderbilt’s Peabody College of education and human development will kick off its annual Leadership Policy and Organizations Department Colloquium Series on Sept. 19 from 2:30 to 4 p.m. Leading and emerging scholars from around the country will present their work on timely issues in education policy, including constraints on educational organizations from mixed methodological perspectives, social contexts of education policy from qualitative and mixed methodological perspectives, issues of race and school discipline. All presentations will be in the Vanderbilt Kennedy Center, Room 241. Light refreshments will be served. Reddick, associate professor in educational leadership and policy at the University of Texas at Austin, will be the featured speaker. His research focuses on the experiences of black faculty and faculty of color at predominantly white institutions; mentoring and developmental relationships between faculty and black students; and work-life balance in academia. 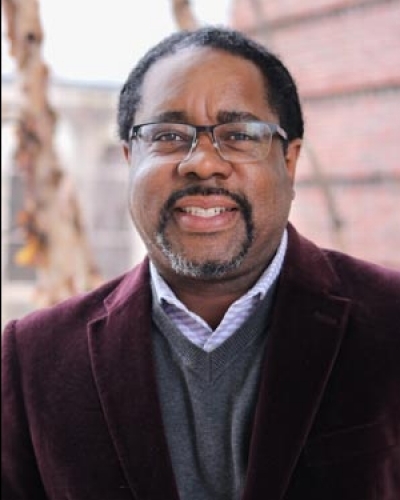 Reddick serves as coordinator of the Program in Higher Education Leadership, with courtesy appointments in the Department of African and African Diaspora Studies, and the Warfield Center of African and African American Studies. Reddick is also the assistant director of the Plan II Honors Program in the College of Liberal Arts and serves as a faculty fellow in the Institute for Urban Policy Research and Analysis. Reddick is a spring 2018 visiting associate professor at the Harvard Graduate School of Education, and serves as the faculty co-chair of the Institute for Educational Management at Harvard. In 2016, he served on the steering committee and as Education Working Group co-chair of the Mayor’s Task Force on Institutional Racism and Structural Inequity for the city of Austin. Green has written five books and numerous articles and book chapters pertaining to educational law. He primarily focuses on the legal and policy issues pertaining to educational access and school choice. At the University of Connecticut, he helped develop the UCAPP Law Program, which enables participants to obtain a law degree and school administrator certification at the same time. Green also developed the School Law Online Graduate Certificate, a 12-credit online program that helps educators, administrators and policy makers understand the legal dimensions of K-12 education. Bridwell-Mitchell’s research builds on her three areas of training and study: organizational management and theory, public policy and education. Specifically, her research and teaching integrates these three fields to examine how organizational factors constrain and enable the success of U.S. public school reform. For example, one of her current research projects asks how teachers’ activities in the classroom are influenced by their integration into local networks or communities of teachers and to what extent community integration depends on factors such as teachers’ status or standing in their schools. Her research has been funded by the National Science Foundation. De Novais’ work sits at the intersection of race, culture, democracy and education. In 2016, she was one of nine scholars honored by the American Educational Research Association as “Promising Minority Scholars” and as an NAEd/Spencer Dissertation Fellowship semi-finalist. She has served on the editorial board of the “Harvard Educational Review” (2012-14), and on the Dean’s Advisory Committee for Equity and Diversity at HGSE (2014-15). Before coming to Delaware, she was a lecturer at the Harvard Graduate School of Education and previously an associate director of Columbia University’s Center for the Core Curriculum. She received her doctorate from the Harvard Graduate School of Education in 2017 and her B.A. in sociology from Columbia University. Prior to coming to Vanderbilt, Soliz was a fellow at the Brookings Institution’s Brown Center on Education Policy. Her research focuses on policies affecting student success at public community colleges. Some of her current projects include studies on the effects of for-profit enrollment growth on community college behavior, the effects of working during college on students’ academic outcomes, and whether state transfer and articulation policies promote community college student transfer. Soliz received an Ed.D. in quantitative policy analysis in education (economics) from the Harvard Graduate School of Education. She also holds a master’s degree in international educational development and a B.A. in anthropology. Doyle’s research includes evaluating the impact of higher education policy, the antecedents and outcomes of higher education policy at the state level, and the study of political behavior as it affects higher education. Prior to joining the faculty at Vanderbilt, he was senior policy analyst at the National Center for Public Policy and Higher Education. Doyle received a master’s degree in political science and a doctorate in higher education administration from Stanford University in 2004. Doyle’s recent work has explored the link between geographic opportunity for higher education and its impact on both earnings and civic outcomes. His recent policy-related work has examined the status of college affordability in every sector of higher education in all 50 states. Rose’s research focuses on the feedback effects of landmark social policies on the American political landscape. In addition to U.S. public/social policy, her research and teaching interests include higher education policy, American political development, political behavior, identity politics and inequality. She is the author of Citizens by Degree: Higher Education Policy and the Changing Gender Dynamics of American Citizenship (Oxford University Press, 2018), which examines the development of landmark U.S. higher education policies and their impact on the progress that women have made since the mid-20th century. Ispa-Landa is a fellow at Northwestern’s Institute for Policy Research. She is a William T. Grant Scholar (2018-23) and was a Spencer Dissertation Fellow (2009-10). Her scholarship concerns the sociology of education, race and gender, and punishment and stigma. Her work advances theoretical models about how race, gender and inequality are linked within schooling and criminal justice contexts. She is interested in understanding how individuals and groups respond to stigma and discrimination, maintain the meaning systems that support it, and seek to overcome its negative consequences.